A designer glass soap dish with a brushed stainless steel holder. 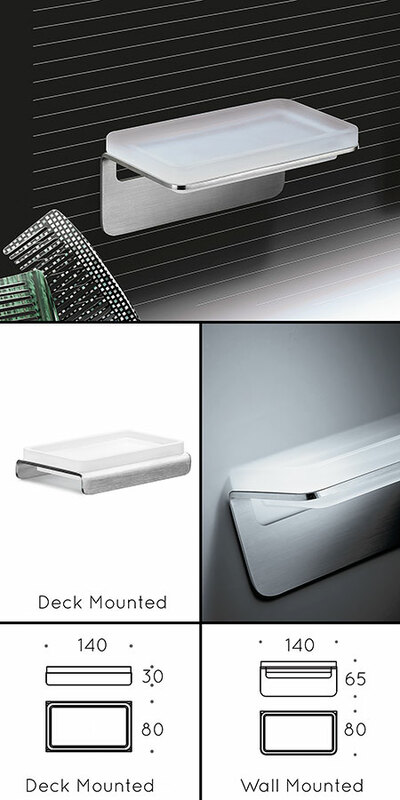 Styled and made in Italy, these stainless steel bathroom accessories are easily self adhesive fixed, which is a permanent solution to the drilling of very hard or expensive wall tiles and coverings. * Brushed stainless steel finish.